short girl, long island. : Teach Me Something Thursday, Volume Eleven. 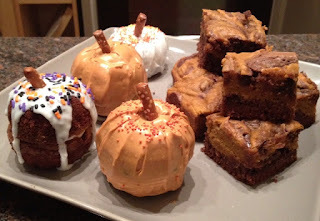 This week's TMST is a sweet treat from one of my childhood friends, who blogs under the moniker The One With the Red Stethoscope. Her blog is filled with stories about the woes of being a med student + her relationship with her super sweet beau, whom she refers to as The Lawyer. The following recipe is for brownies with some autumnal flair! 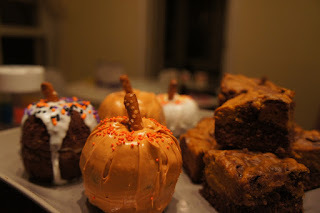 I love baking special, beautiful things at holidays! It’s like an excuse to let your creative energies run wild and make festive works of art that are as delicious to eat, as they are pretty to look at. Unfortunately, I always run into two problems: timing and transport. I’ve been both a host of Thanksgiving dinner and also an invited guest at someone else’s feast. As a host, I usually feel frenetic and distracted as I run back and forth between multiple dishes. As a guest, I’m usually traveling long distances (often by air), so finding a recipe that can be made ahead and transported is nearly impossible. so you don’t have to be an expert baker to make them! 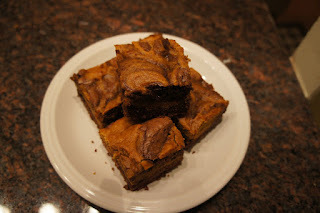 Full recipe found here on Babble. 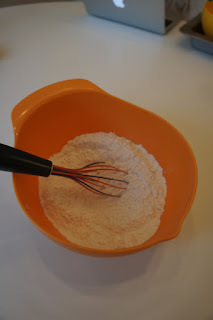 First, combine flour, baking soda, and salt in a medium sized mixing bowl. 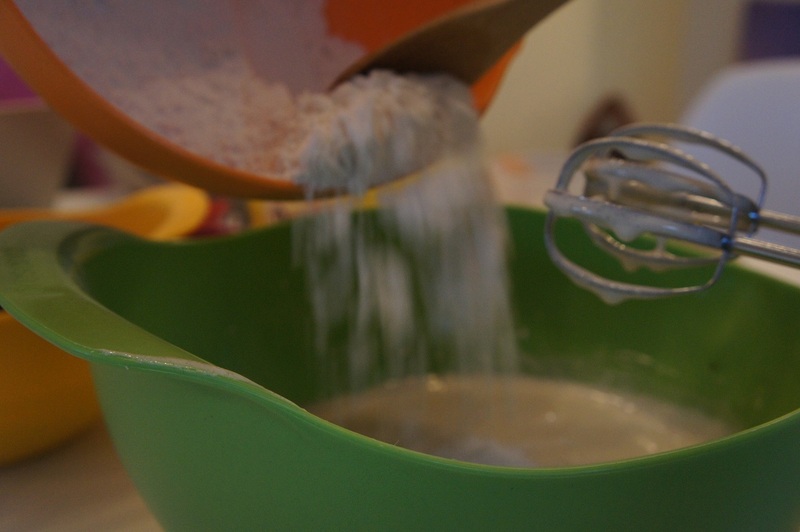 If you have a sifter, sift ingredients together. If you don’t, gently agitate the dry ingredients with a dry whisk. This will aerate the flour and break up any clumps. Set this bowl aside. 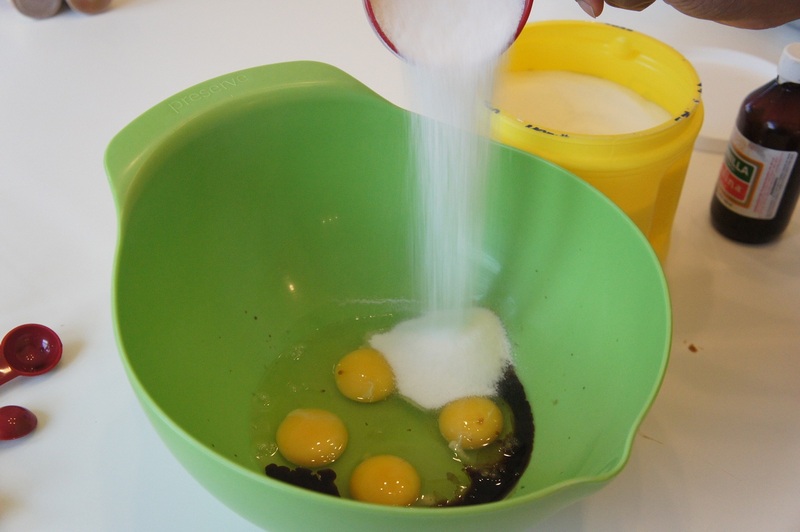 In a separate bowl, combine eggs, vanilla, and sugar. 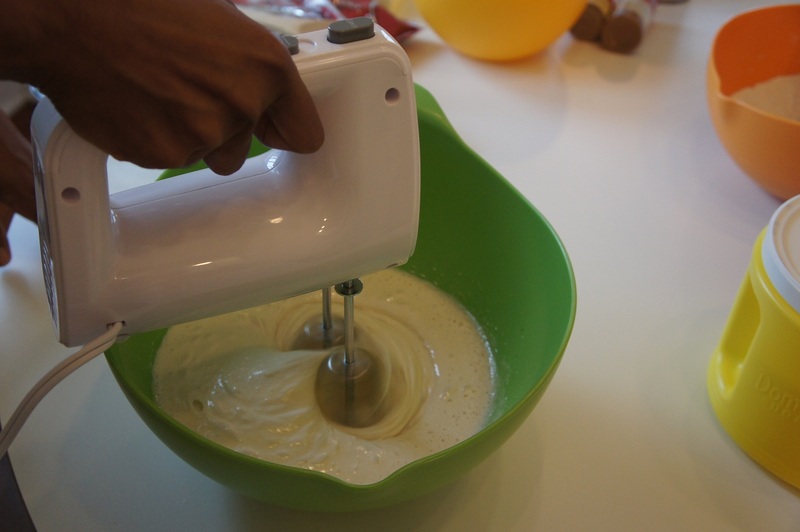 Using a mixer, beat the wet ingredients on medium speed for 3-4 minutes, or until the mixture is a soft, foamy yellow. Slowly add the dry ingredients to the egg/sugar mixture by folding large spoonfuls of the flour mixture in. Once all of the dry ingredients have been incorporated, mix on high for approximately 30 seconds or until all ingredients are combined. Separate approximately 1/3 of this batter into another bowl. You can use a scale to measure, or just eyeball it. 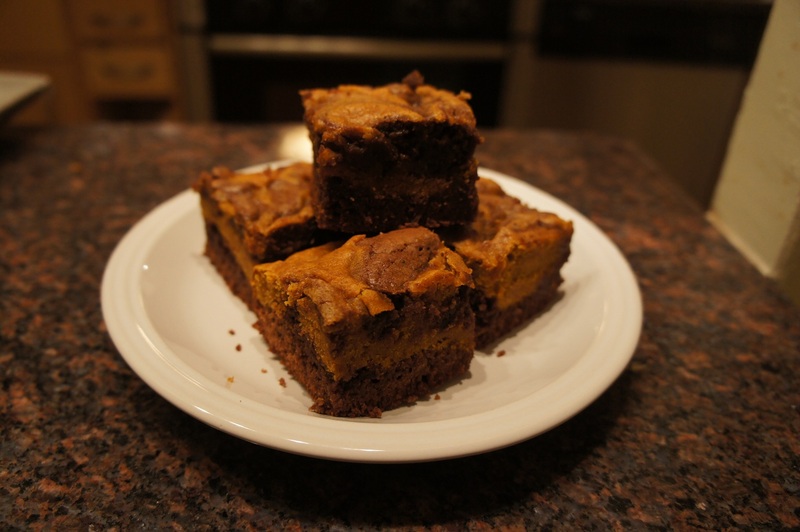 This recipe is very forgiving, so you can just guesstimate this. 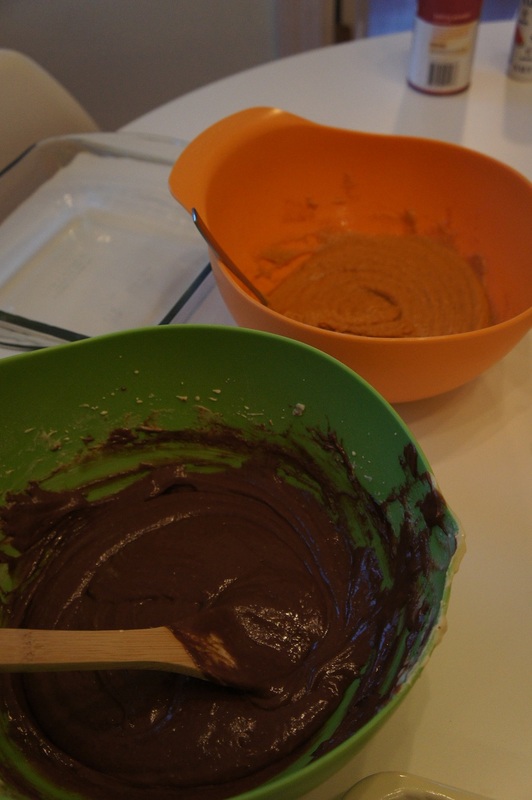 Set the two bowls of batter aside. 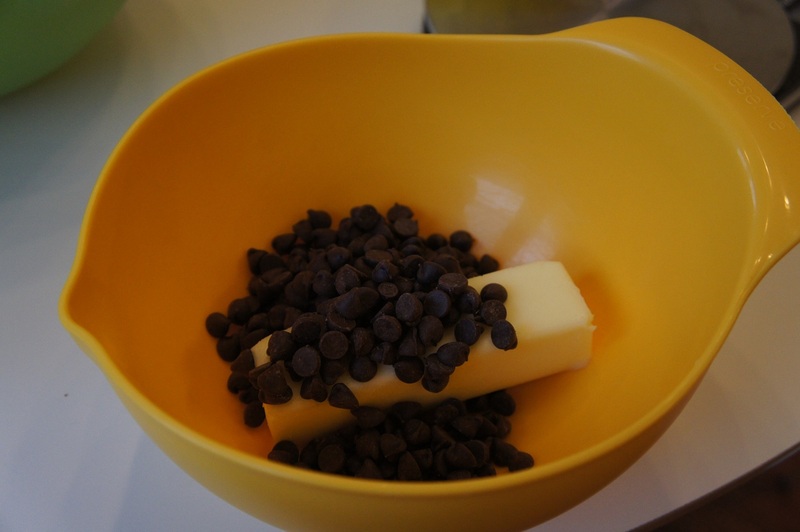 In a small bowl, combine butter and semi-sweet chocolate. The original recipe calls for melting on the stove, but I just use the microwave. To the larger 2/3 of batter, add the melted chocolate/butter and stir together. To the smaller 1/3 of batter, add the pumpkin, cinnamon, and nutmeg. 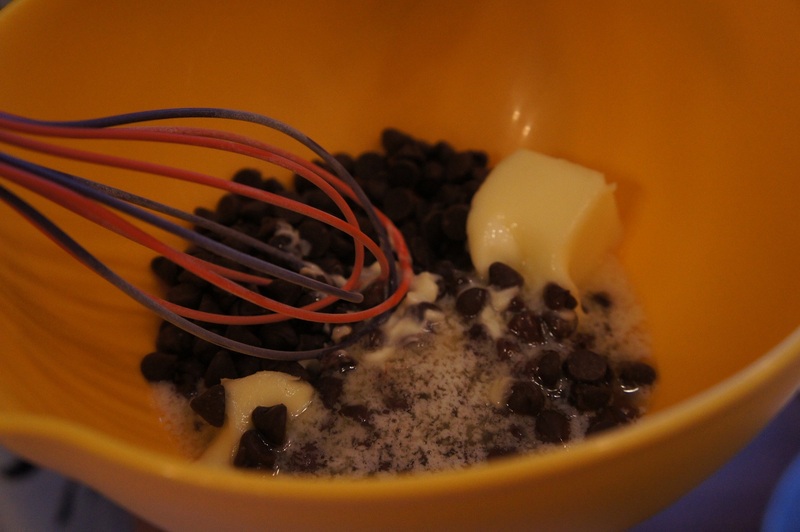 Mix together with a wooden spoon. 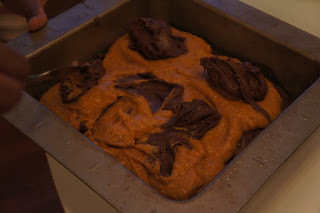 In a 9x9 greased pan, add slightly more than half of the chocolate batter. 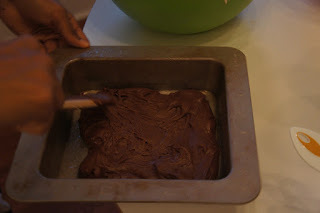 It will be very firm, so use your spoon to spread to the edges of the pan. On top of this, add your pumpkin mixture and spread with a spoon. 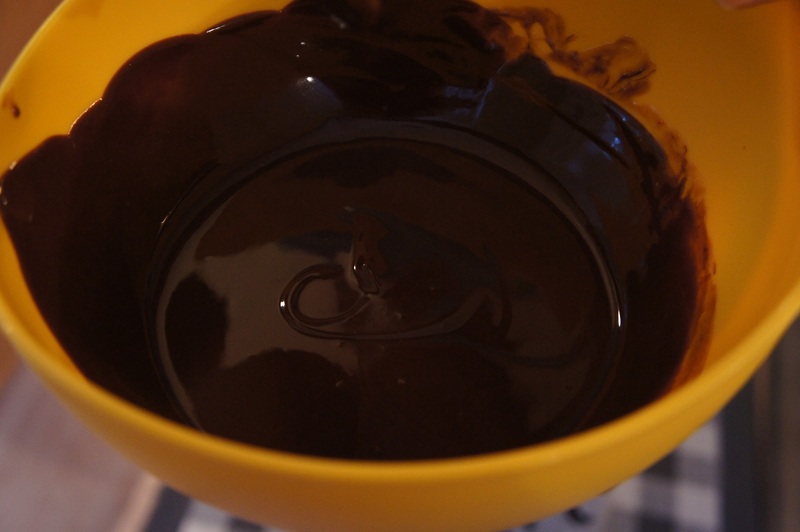 Finally, add the remainder of the chocolate batter to the top of the pan in large spoonfuls. Use a butter knife to spread this top layer out, but don’t try to keep the layers separate. Instead, insert the knife deep into the center of the pan and gently fold the layers together, creating a swirled effect. The final product will look really messy and you may worry that you’ve messed the whole thing up, but that’s exactly how it should look! The different densities of the layers will keep them separate, so don’t worry. 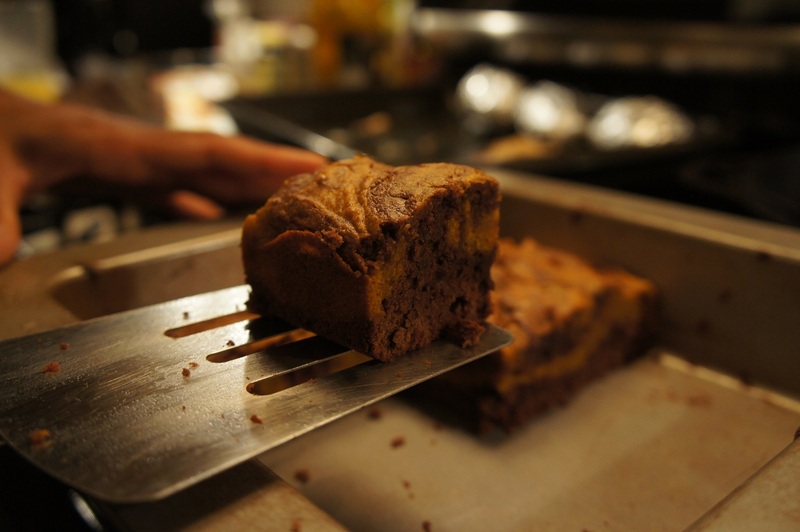 Place the pan in a 350 degree oven and bake for 40 minutes. 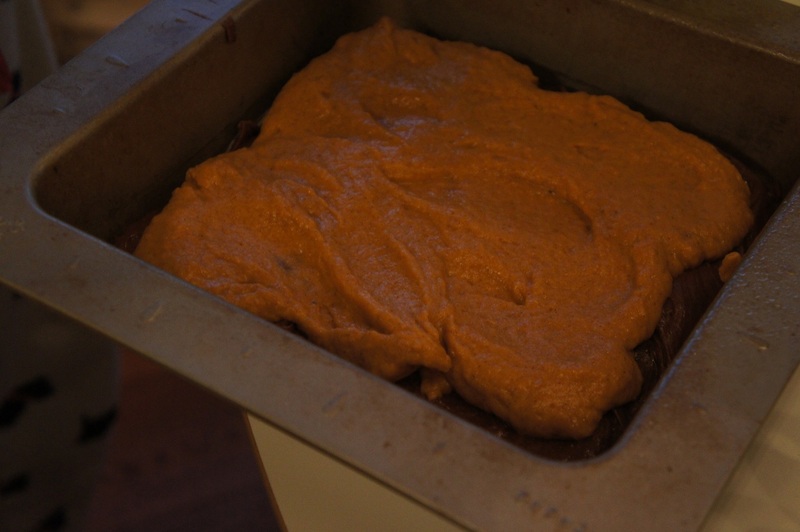 A toothpick inserted in the center will be slightly wet when finished. Set pan aside to cool, and cut brownies into 16 even squares. 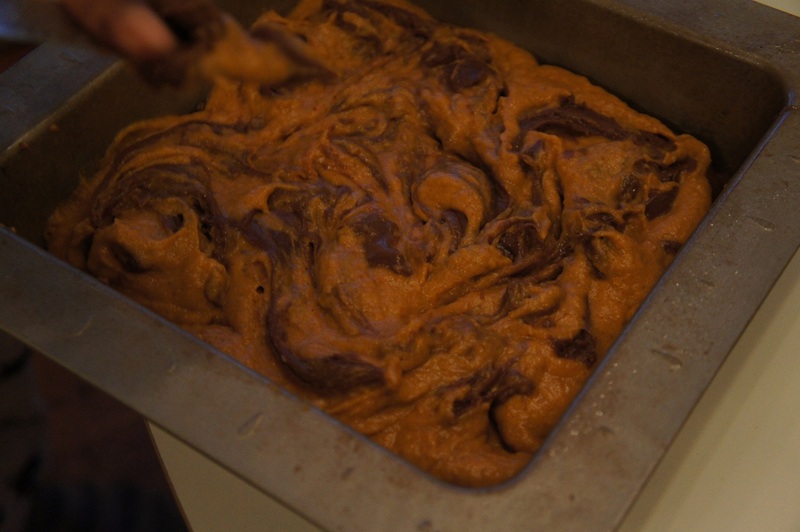 The effect of the “swirl” will make a stunning presentation. Bake mini pumpkins at 350 degrees for 15-20 minutes or until a toothpick in center comes out clean. If you’re going to go the fancy route, I suggest frosting the pumpkins on the same plate and in the same location that you intend to serve them, as they don’t transport well! How stinkin’ cute are they? 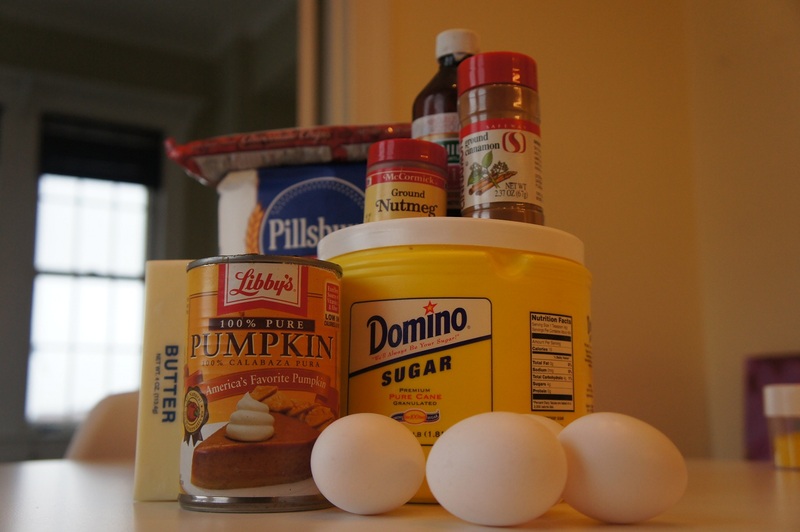 So, go forth, make delicious things, and impress your family this Thanksgiving. Make sure to head over to The One With the Red Stethoscope to read the entertaining adventures of this relationship advice columnist turned medical student! Will be giving THAT a try!! Yummy!